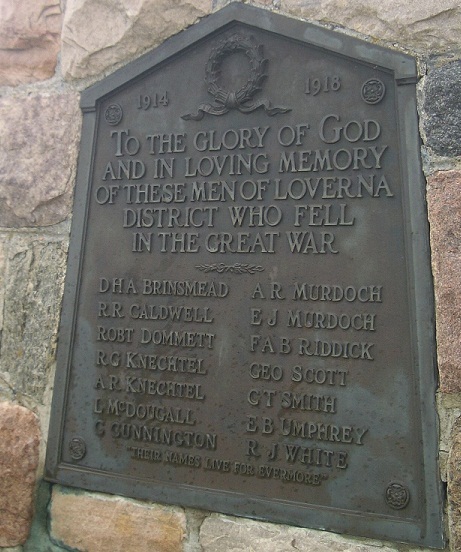 At the outbreak of war in August of 1914, and in the following years of that conflict, a number of men from Loverna, Saskatchewan and the surrounding district, which included both part of Saskatchewan and Alberta, served in the Canadian Army or the Royal Flying Corps (which became part of the Royal Air Force in April 1918). This site is dedicated to the memory of their service and especially to those who made the supreme sacrifice for King and Country. Some of these men posed for a group photograph on 20 August, shortly after war was declared. 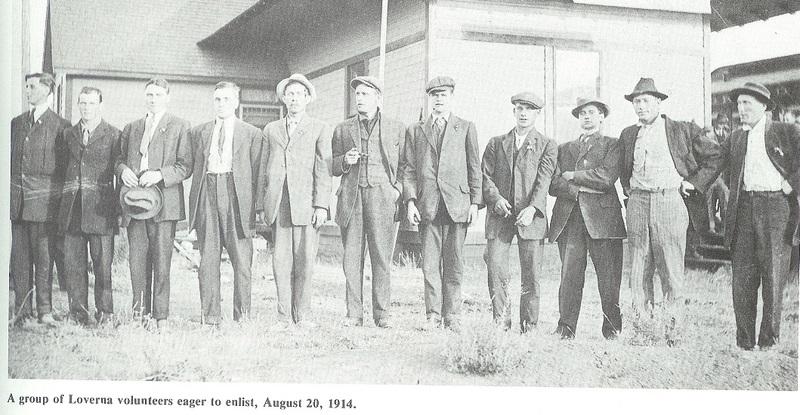 While the caption indicates they are 'eager to enlist', it is possible that some did not ultimately enlist and also that some may already have enlisted. The photograph and enlargements are shown below. photograph. Killed by artillery barrage prior to attack. Apparently killed during pilot training. Farmer, Single. Killed in action in the trenches at Thelus. Toronto Cemetery, Demuin Private 15th Bn. Single. Died of Wounds. Injured in abdomen by machine gun and died two days later at clearing stn. 1. This list is taken from the memorial plaque which was dedicated in 1926, and may be incomplete. 5. All of these casualties were volunteers; none were drafted after the conscription act of 1917. 22 July 1918, Ottawa, Ont. 1. Charlotte Edwards of Delta, B.C. This page exists very largely as a result of her efforts to preserve the history of the district in which she spent her early life. 2. 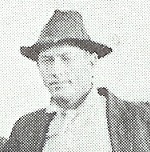 Andy Sims of Edmonton, Alberta who studies the Brimsmead genealogy. He provided the photograph of the memorial plaque.